The Birdhouse is not designed as a building, but rather an experience. It touches the earth lightly, starting to become a piece of this complex set of ecosystems. From start to finish, the space pushes you from one place to another. As you drop below the surface of the riverbank, you feel the ecosystems surround you as you submerge yourself in the landscape surrounded by rammed earth walls, taking full advantage of the never ending supply of sand in the Kruger. The bright arrival space allows for you to absorb the surroundings as birds fly above you as well as enjoy the waters below. As you keep moving, the water comes closer until your feet can almost touch the surface. The idea is that the movement through the space becomes the education, rather than a conventional exhibit itself, although there is opportunity and space for temporary exhibitions to highlight the grave problems our ecosystems are faced with in todays day. 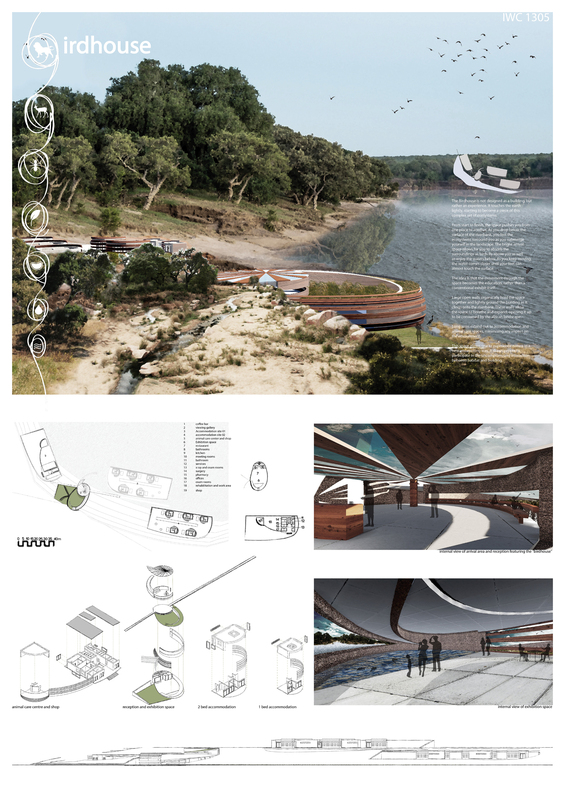 Large open walls organically hold the space together and lightly ground the building as it clings onto the riverbank. These walls allow the space to breathe and expand, opening it up to be consumed by the african landscape. Long arms extend out to accommodation and animal care spaces, minimising any impact on the environment. This space allows one to experience nature in a new and exciting way. It draws people to participate in the uncompromising interaction between habitat and building.